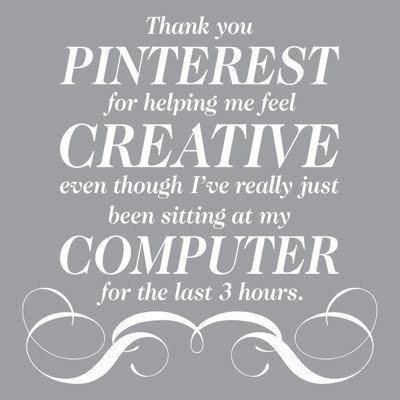 you improve not only the world around you but also the world within you"
Tomorrow I will be holding my first Chalkle class, and its going to be about my obsession, Pinterest. I hadn't even thought about doing a class on this topic, until I showed the convenor of the Horowhenua Chalkle classes, Kerry. She had never heard of it at all, and once I showed her what it was like, she suggested that is the class we should start off with. Sorry, I think what I have written is bad English, but its late and right now I should be tucked up in bed and not writing this blog. I want people to be as inspired as I am about this website. I want them to find what they really love, and maybe find things that they didn't think they would love, and find themselves in the process. Isn't that what an inspiration board is all about? And yes, I know it can be a HUGE time waster! Then, if they wish, I'd just love to see them take one or 2 interesting things, no matter what they are, and be inspired themselves to make or do or learn about the topic. And if they would like to share with the rest of us, come back next week, and show us what they have learnt. Life can get pretty tedious at times, work, eat ,sleep, and repeat the process. Lets try to break the cycle, and have a little fun! Have you heard of Chalkle?